Microsoft's Larry Hyrb (aka Major Nelson) has revealed the forthcoming Xbox One console will lack support for external hard drive devices upon its release to the masses in November. Speaking on a podcast recorded this weekend at the PAX conference, the Xbox Community Manager said Microsoft's hardware team is prioritising other features in the run up to the on-sale date. Hyrb said the ability to plug in USB drives in order to play external entertainment content will arrive at some point, but wasn't able to offer further details. He said: "My understanding is that feature will not be there at launch because the team's working on other things. It's definitely on the list; I don't know when it will come in, though." The wait may not be too big a deal for Xbox One owners who'll be feasting on new games and plentiful new video on demand apps and will also have a 500GB hard-drive to fill in those first few months. However, it does inhibit the console's ability to act as an all-round media player. How often do friends bring around movies and TV shows on external hard drives? How many times do users copy content from their computer to play on the Xbox? Is it often enough for it to be a nuisance until Microsoft sorts it out? Let us know your thoughts in the comments section below. 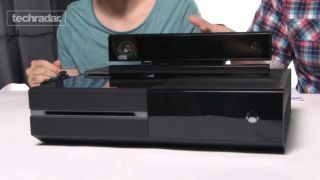 The Xbox One will go on sale in a matter of months with an arsenal of 23 games. Here's the list in full.